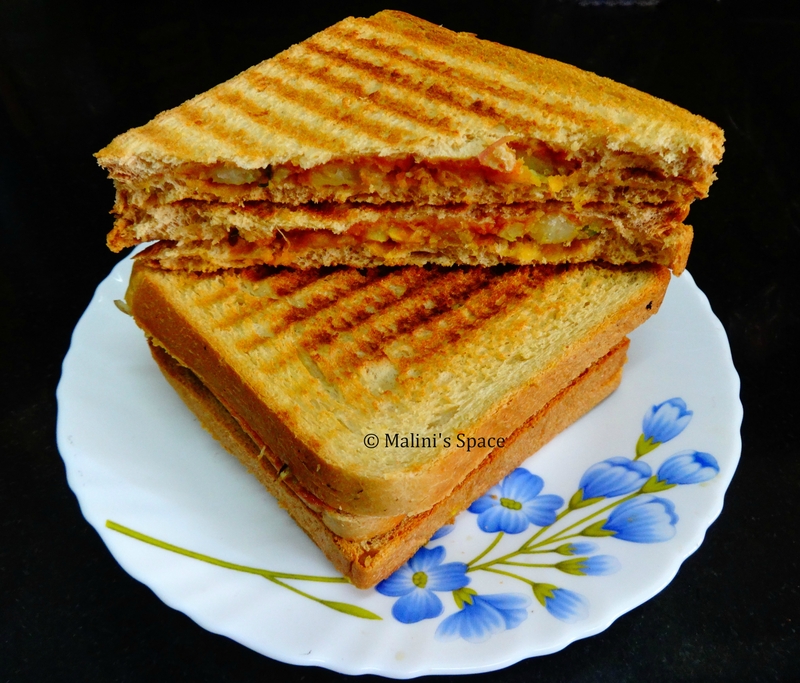 Potato and Peas Grilled Sandwich is my all time favorite when it comes for a quick breakfast or dinner. To make this sandwich I have used boiled and fried potato and Peas filling with a base of tomato ketchup. You can use either coriander or mint paste also a base. It would give you an awesome combination and taste. Get the ingredients ready, Boil the potatoes and peas well until it gets cooked. 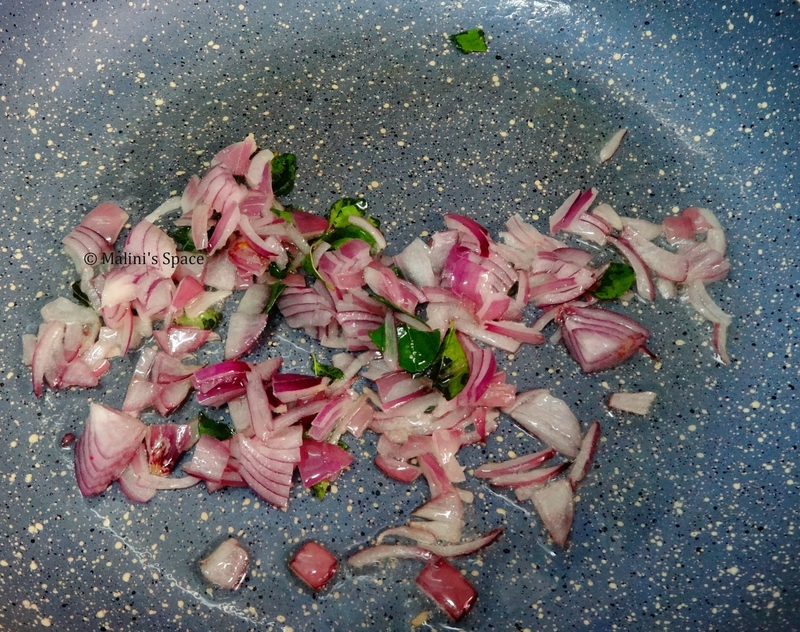 Heat oil in a wide pan, add onion and curry leaves into that. Saute well for few mins. 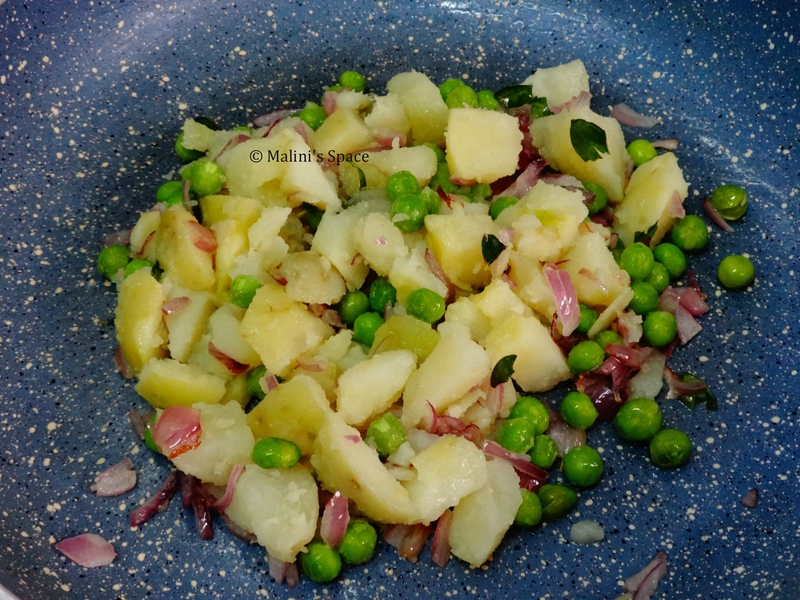 Once it is done, add boiled potatoes and peas into that. Saute everything well. Add Salt, turmeric powder and chili powder into that. Mix everything well, until it blends. Now the stuffing is ready, Get the bread slices, chop the sides if you don’t prefer it. Apply Tomato or other paste as per your taste on one side of the slice and spread the stuffing on top of that and then close with other slice of bread. Apply tomato sauce on one side of the bread and place potato stuffing above that. Now the bread is ready to be grilled. 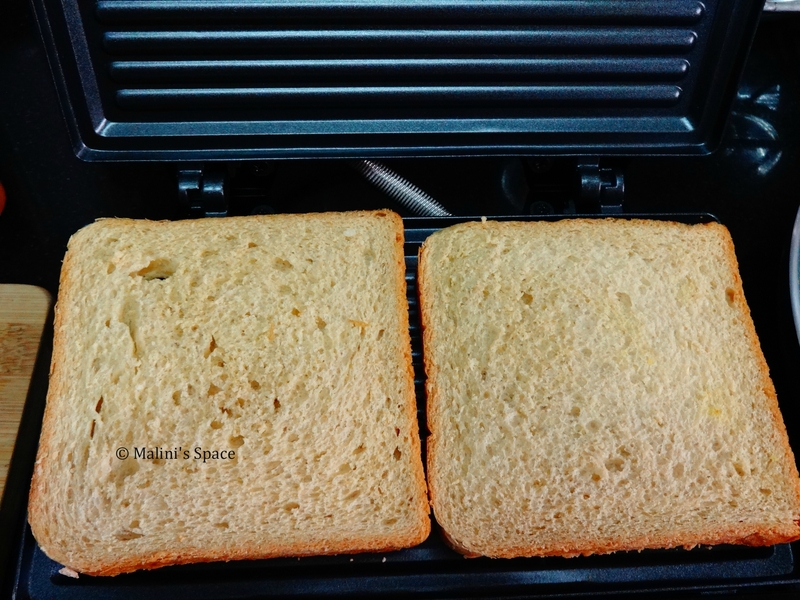 Place to grill, apply oil on top of the bread if required. 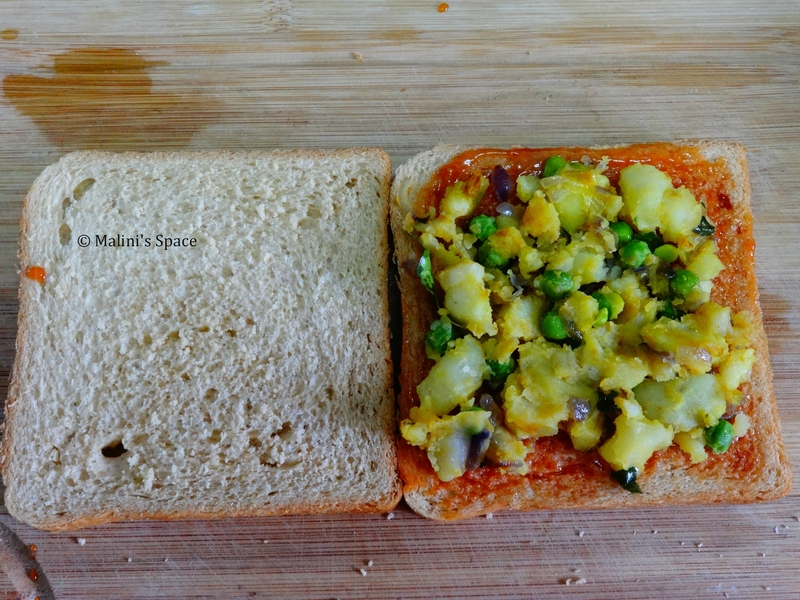 Now yummy Aloo Matar sandwich is ready to be served. 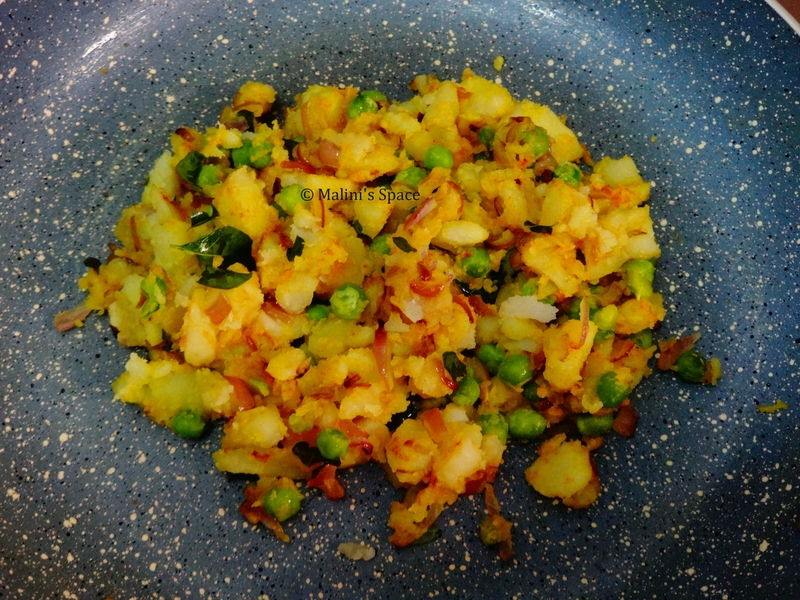 Serve with tomato ketchup or coriander chutney. I’ve never tried this before. It looks delicious! !